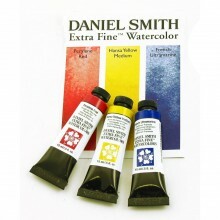 The Triad Primary Set is an important set for students and new watercolourists, providing the 3 key mixing colours to form the basis of all colour palettes.This set when combined with the Secondary Triad set allows the artist to complete an entire colourwheel, multiplying possible shade combinations. Perylene Red - A medium staining and semi-transparent. It creates vivid, dark washes with a clean brilliant orange hue. This sedimentary pigment offers an additional health benefits, as it is made from a metal-free red. Clean modern pigments such as this will put accidental mud-making in the past. Hansa Yellow Medium - A high-tinting, semi-transparent organic pigment. Considered the 'perfect yellow', Hansa Yellow Medium offers more control when mixing. Painters admire the purity of this primary pigment and adjust its temperature while avoiding a gray from a hidden complement. Think of a yellow pepper. French Ultramarine - This medium-to-dark warm reddish-blue is highly lightfast and of medium tinting strength. Its sedimentary quality increases its versatility. Mixed with various portions of other blues, French Ultramarine is a wonderful sky pigment. Modify it with Quinacridone Gold for delightful greens that remain color-coordinated. Mix French Ultramarine with Quinacridone Burnt Orange and be rewarded with an amazing range of blue to brown grays. Mixed with either Quinacridone Rose or Pink, a range of purples result. The Set offers a 15% saving to the consumer when compared with buying the tubes singly. 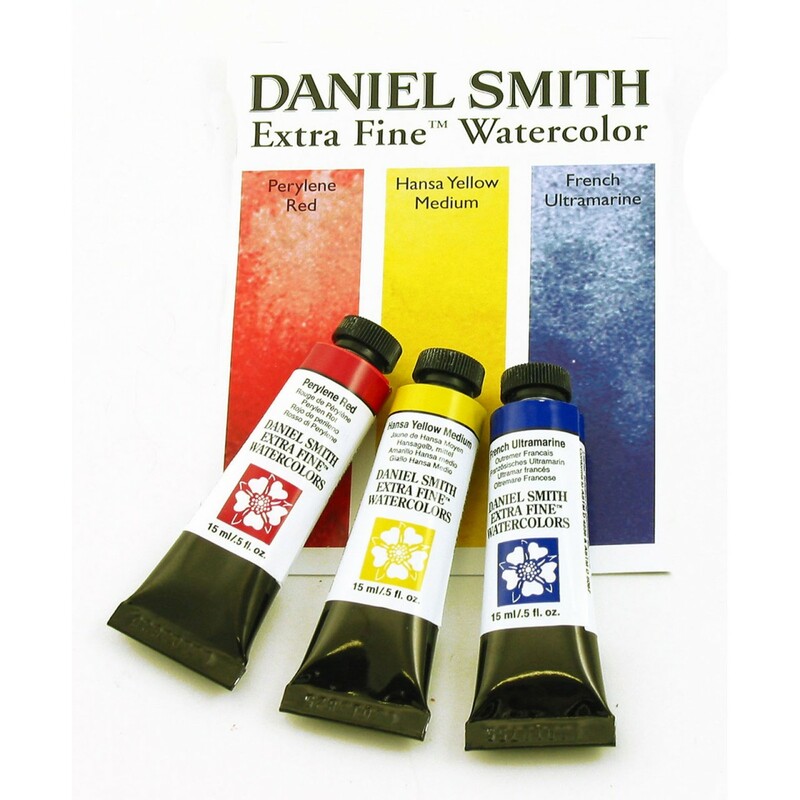 Click the button below to add the Daniel Smith Primary Triad Colours Set to your wish list.